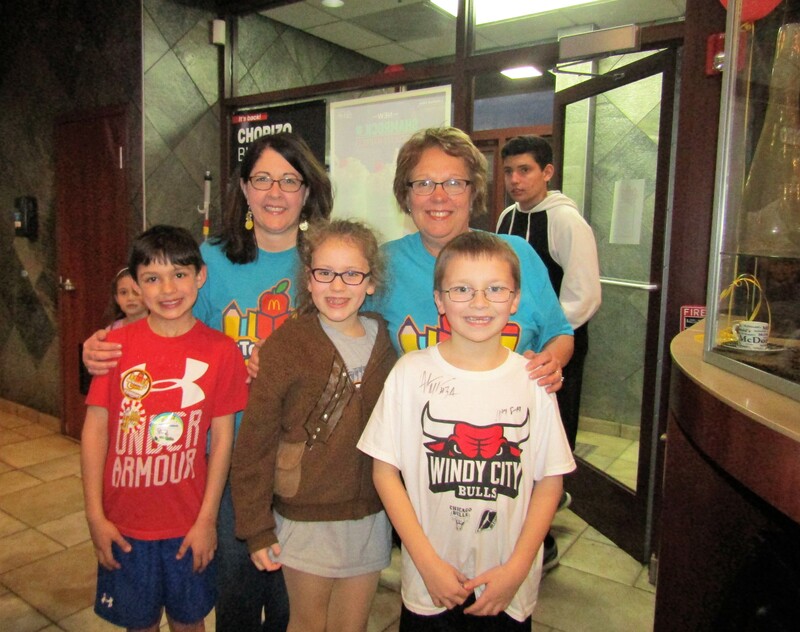 Tuesday, February 21st the McDonald’s on Redington Drive in South Elgin held a McTeacher’s Night for Corron Elementary School in school District 303. This is a night where the teachers work at McDonald’s and a percentage of the schools sales is then given to that local school. The staff from Corron was very excited to serve their students and families. Tuesday was the perfect night to have the patio doors at this beautiful restaurant open for a little taste of springtime with the nice breeze. The Corron staff worked jobs that included greeting guests, working the front counter, making ice cream and the principal even dressed in a pie costume to sell pies, where all the proceeds go directly to the school. To make the night even more exciting, Ronald McDonald showed up to take pictures with the staff, students and their families. A special thank you goes out to PTO Secretary, Stacy Rubly, who organized the event as well as all the staff who so graciously worked to help raise money for the PTO who plans to use the money raised towards things such as teacher’s wish list, technology and any other needs that the school has. The PTO raised over $800.00 during this 3 hour event and were already talking about next years McTeacher’s night. 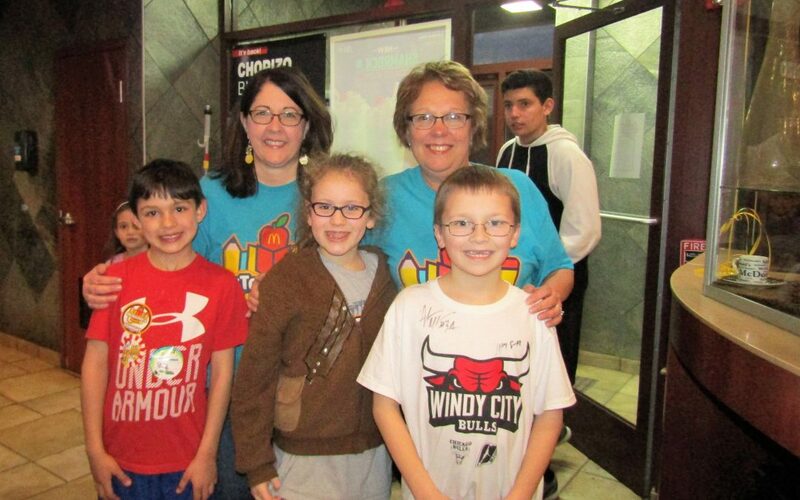 The McTeacher Night was courtesy of the South Elgin McDonalds Owner/Operator, the Bear Family. Like us on Facebook at https://www.facebook.com/BearFamilyMcDonalds/ For more information about events provided by the South Elgin McDonald’s contact Community Relations Director Julie Travers at julie.travers@comcast.net. You can also visit their website at www.bearfamilyrestaurants.com. 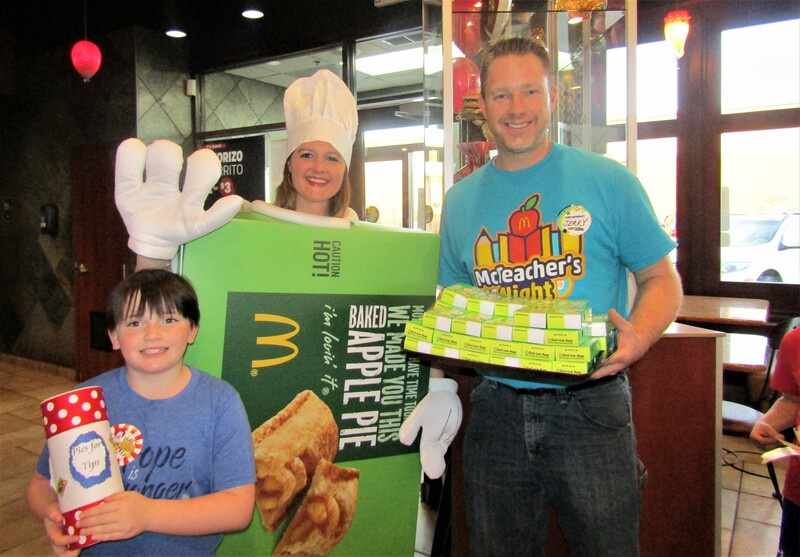 4th Grade Teacher Gerald Christiansen and 3rd Grade student Amelia Hutson pose with Principal Amanda Clark dressed as a pie. 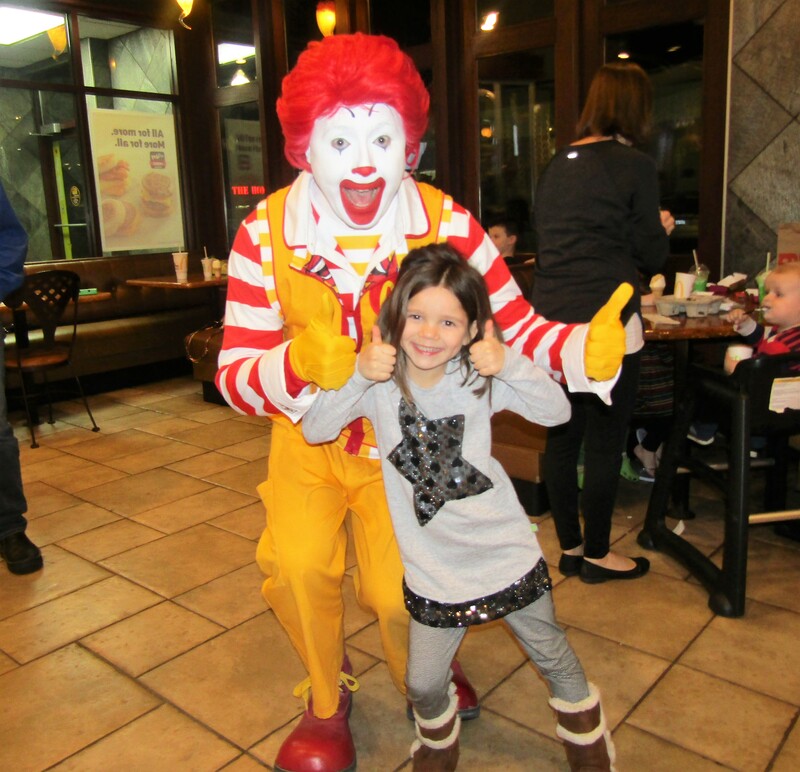 Ronald posing with student Ava Rubly.